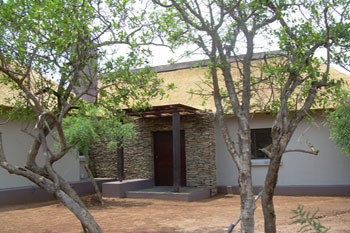 This website offers a complete description of our holiday villa in Hoedspruit, in the province Limpopo in South Africa. Our villa is suited for (up to) 6 people. It is set on approximately 6000 m2 of privately owned land. 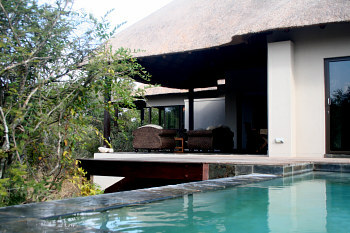 We rent out our villa to those wishing to have an unforgettable holiday in this part of South Africa. 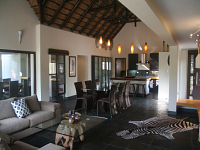 The villa offers a perfect base for visits to the Kruger National Park or the Blyde River Canyon, to name but two of the many famous and impressive sights that South Africa has to offer. The practical aspects of your holiday are well taken care of, allowing you to have the best possible stay and to take wonderful memories back home with you. We'd like to welcome you to this website in preparation for your unforgettable visit to the beautiful Limpopo region of South Africa.